The catalytic converter or catalyst is a component of the exhaust system of an internal combustion engine, this serves to control and reduce the gases harmful to health that are expelled by the engine of a vehicle. The catalysts are used in both gasoline engines and diesel engines. 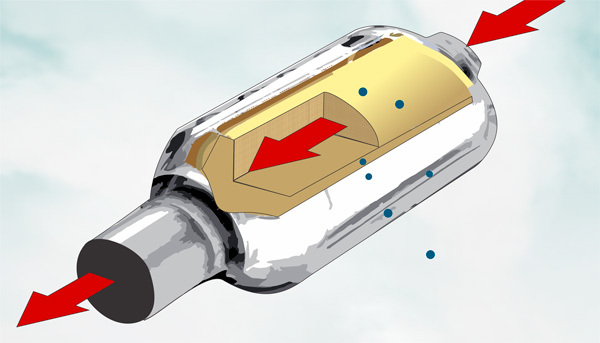 The catalytic converter is a metal housing made of stainless steel that is inside houses one or two ceramic blocks coated with semiprecious metals such as Platinum, Rhodium and Palladium. When the harmful gases produced by the motor of a vehicle pass through these ceramic blocks, the chemical reactions that decompose and oxidize these gases are generated and accelerated transforming them into gases that are harmless to the environment. 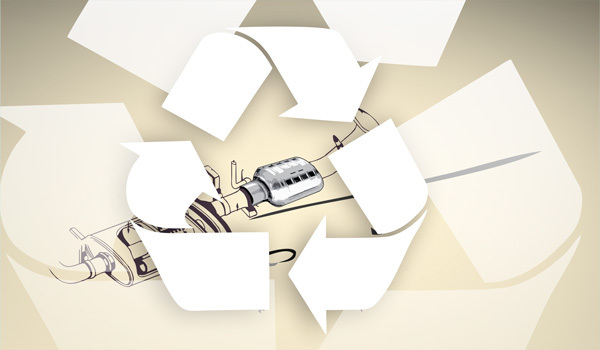 At the end of its useful life, it is important to submit them to the recycling process to avoid soiling the soil and rainwater, as well as to reduce the exploitation of mines and thus be able to use these materials for the manufacture of new products.